Home / Opinion / PMA Alumnus: "The Last VP election was a DO or DIE struggle to Prevent Marcos from being Elected"
PMA Alumnus: "The Last VP election was a DO or DIE struggle to Prevent Marcos from being Elected"
Philippine Military Academy (PMA) Alumnus, proud nationalist and political analyst, Dan Jimenez, once again took the freedom to voice his opinion regarding the ongoing protest on the alleged 2016 electoral fraud. In a Facebook post, Jimenez stated that the clamor between Bongbong Marcos and Leni Robredo which propelled over a year ago, lately transforms into a show of suspicion, especially when election lawyer and former Congressman Glenn Chong made his testimony, and presented all evidences of the 2016 election anomalies. However, Jimenez pronounced that although proofs of cheating were already presented, there is still no certainty that the protest will be resolve the soonest, since questions regarding the alleged electoral fraud remained unanswered by the Commissions on Elections (Comelec) and Smartmatic, and both could not come up with their explanations just yet. Likewise, the analyst concluded that the last Vice-Presidential race was a do or die battle to keep Marcos from being elected. And to achieve such, his enemies will do everything, including cheating, thus, he added that indeed, Philippine politics remains to be Marcos vs. Aquino, a disease the country can not move far from and one that has caused the nation all enough damage and misery. Jimenez then ended his post by saying that those who deny the general population's will, damage all freedoms and rights of citizens. Who are they? The cheaters of the country, those who had the taste of power and the desire to stay in the position is so strong, to the point that decency, integrity and righteousness meant nothing at all. 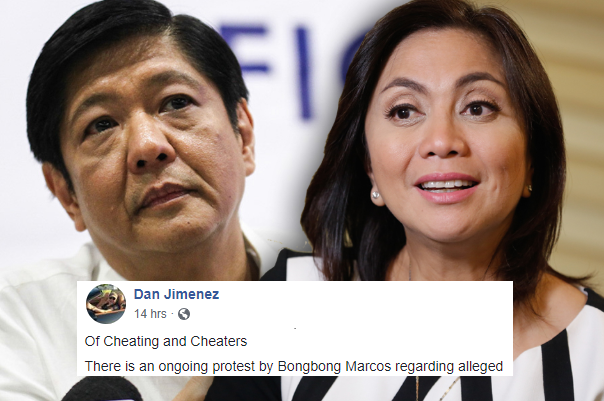 "There is an ongoing protest by Bongbong Marcos regarding alleged cheatings done to make his rival, Leni Robredo win the Vice-Presidential election. The protest which was launched over a year ago, recently turn into a show of incredulity not only by Robredo's supporters but by the main stream media which completely ignored the investigation being done by the Philippine senate. 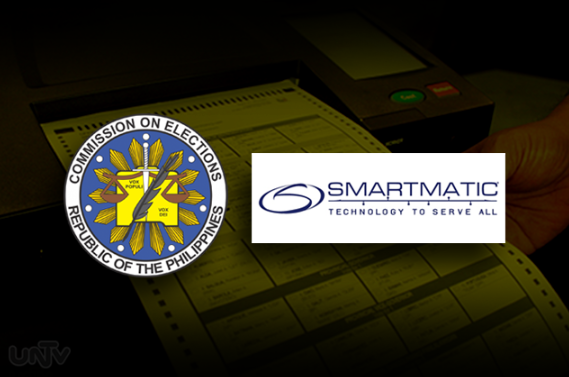 In his testimony, former Congressman Glenn Chong, convener of the Consortium for Clean and Credible Elections and a member of the Automated Election Systems Watch, pointed out that the Smartmatic computers which were supposed to be off after being tested on May 5th, 2016 until May 9th, Election day, were transmitting vote counts on May 8th! Talk about ghosts and the supernatural! When asked by Sotto how was that possible, the COMELEC and Smartmatic representatives could not come up with any answer. Now, the cat could not have gotten their tongues but truth just gave them a twin slap on the face and a sucker punch in the gut. Yes, cheating was done. Robredo who claims integrity, decency and overall righteousness has been asked by netizens to show her sterling self by declaring the tainted election as null and void. And that a run off election be held between her and Marcos. She and her supporters though have maintained that the election was clean and honest even if evidences show otherwise. 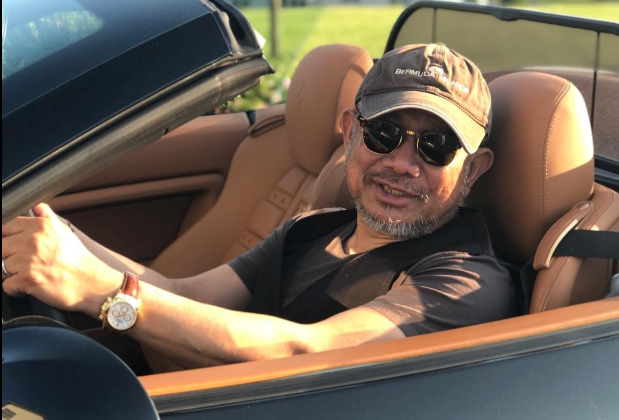 Have the taste of power and the desire to be president just in case the presidency becomes vacant become so strong that decency, integrity and righteousness warrant nothing? Would Jesse, her beloved deceased husband, approve of such an actuation? Does winning at all cost really the be all and the end all? Bongbong Marcos' intention of running for the vice presidency was perceived as recapturing the legacy of his late father and to bring back the Marcoses to Malacanang. Maligned, cursed, hated, sued, ridiculed, forsaken, deposed, and driven away, the Marcoses have climbed their way back to the Philippines' political stage. A climb fraught with resistance and continuing vilification especially by the "Never Again" crowd and the Aquino minions. Just like in the 70s and the 80s, Philippine politics remains Marcos vs. Aquino. A malady the nation can not move away from. One that has caused more than enough damage and misery. It is the conventional wisdom that the Aquinos will never let the Marcoses get back to power. That the last Vice-Presidential election was a do or die struggle to prevent Marcos from being elected. And that to accomplish such, no stone will be left unturned. Cheating included. There is no certainty of a resolution in this electoral protest. Evidences of cheating were presented, COMELEC and Smartmatic seemed to have been caught red handed, citizens and well meaning advocates continue to fight, yet the the decision lies with those whose sense of justice and fairness leaves a lot to be desired. The turtle pace of the process makes one think that a decision will not come until the VP term expires in 2022, a decision worthless and utterly useless. Justice delayed is indeed justice denied. It is a fact that those who deny the people's will, violate all freedoms and rights of citizens. There is an abominable injustice when one's vote is stolen. The implication of such is not only of the present, it encompasses the future. When a thief steals one's wallet, one fights to the point of spilling blood. A thief who steals one's vote, one's will, does not just steal one's money. The thief steals one's present, one's future. Shouldn't one fight even if such will mean spilling blood? True then, true now: There are no tyrants if there is no one willing to be a slave."